Just as water and sewerage facilities are considered essential public services, parks are important to establishing and maintaining the quality of a life in a community. They play an integral role in the social and environmental well-being of a community. 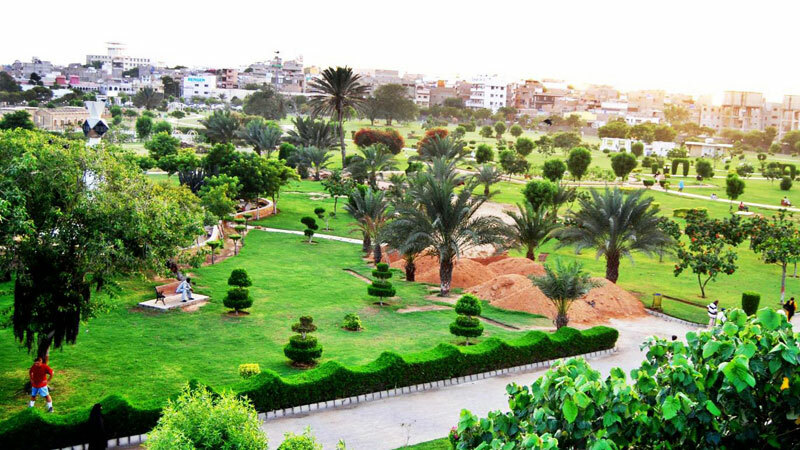 The 26-acre park is located in Defence Phase V and is a favourite among people because of the different facilities it provides. It comprises jogging tracks, walking paths, a skating enclosure, gym, cafeteria, a cactus area and a playground. Sabir Hussain, who has been coming to the park since the last eight years, said that there are two jogging tracks at the park. It was constructed in 2001 as a gift for the people during the tenure of former president Pervez Musharraf. People from all classes come to the park. Seventy-five-year-old Hassan Ali has been coming here since the last 14 years. He said that the park provides him with much-needed peace.